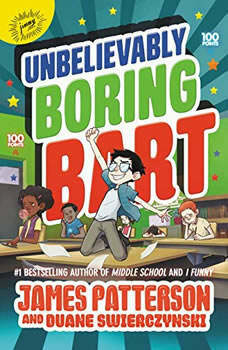 There's more than meets the eye in James Patterson's newest illustrated middle grade novel--a book so fun kids will actually put down their games to read it!Invisible creatures are attacking the school, and 12-year-old Bartholomew Bean is the only one who can stop them! Okay, so maybe Bart is only a hero in the video game app he created. But if he reveals his identity as the genius behind the game, he'll become the most popular kid in school! Or he could secretly use the game to get back at his bullies...Press Button A: RevealPress Button B: RevengeWhich would you choose?